For your blog, website boosting the ranking of mobile friendly pages on mobile search results. Now searchers can more easily find high quality and relevant results where text is readable without tapping or zooming, and the page avoids unplayable content or horizontal scrolling. 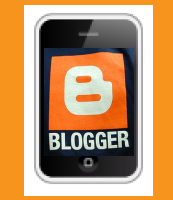 So now you can make your blog for mobiles browsing. And people can visit your blog from mobile. When its normal its takes long time to load the page. But after doing this your page load faster. And your user sees full your blog page on mobile screen in seconds. 4. Now click Preview and click save template. you are done.! Now Check your blog page and see your blogs look like in mobile view.